Picture of Today 10/18/15, Rain over Sunday.. The early evening looking out from Westlake Center (Downtown Seattle) toward South Lake Union in the distance. This day, not the cheeriest of days for many out there, as much of the day had gloomy skies with rain finally this evening. I expected the rainfall since the morning. I also expected the Seattle Seahawks to beat the Carolina Panthers. One expectation eventually happened while the other did not. O well, Go Hawks for next time! Anyway, I am grateful for this little bit of rain. Downtown Seattle is beautiful when wet. 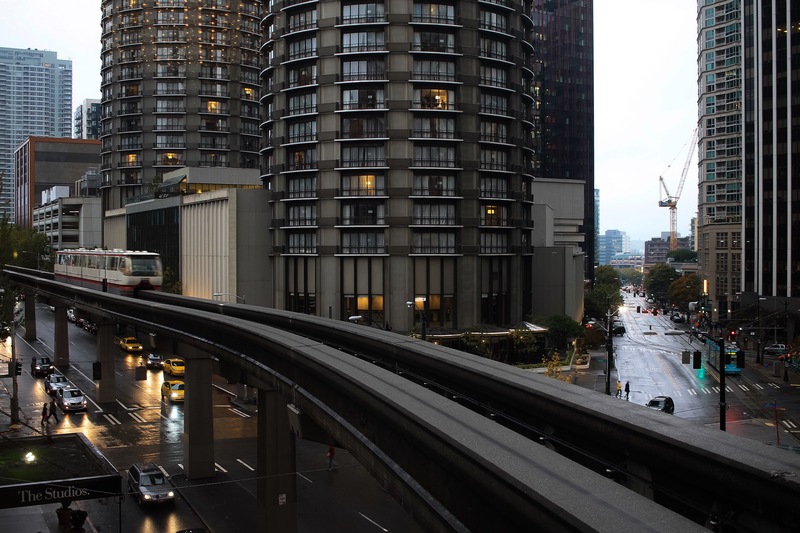 Posted on October 18, 2015 by Orion T.	This entry was posted in Citynature, Photography and tagged life, metropolis, monorails, rain, Seattle, travel. Bookmark the permalink. Seattle, beautiful every day in rain or in sun. GO HAWKS……next time.